The Marshall JCM2000 has been released in several configurations: the Dual Super Lead and the Triple Super Lead. Both models offer 100W (watt) and 50W versions, available as a head or combo. The early versions of the JCM2000 were prone to an issue that has been coined the “bias drift” issue. It’s been discussed at length on countless fan forums and since around mid-2004 the issue was resolved in manufacturing by Marshall. The issue that causes the bias to drift is related to several factors: The type of components (resistors) that were used to populate the board and how they respond to heat, and the routing of power traces near sensitive components. The longer the amplifier is played, the more the heat builds up. As the components start to heat up, they drift causing audible volume changes that are caused by the components as they drift in value. This results in the voltages shifting and forcing the output tubes’ bias point to shift off target, oftentimes causing the tubes to shut off. It has been known to cause them to take more current then they can handle and cause red plating, which can result in tube failure and potentially costly repairs if left untreated. Many times, if only played for a short amount of time, the issue is never noticed. It often takes well over an hour of solid playing at gig levels before the heat can build up enough to cause an issue. Once the amplifier is shut off and cools down, it returns to normal and the cycle repeats itself the next time it’s played. 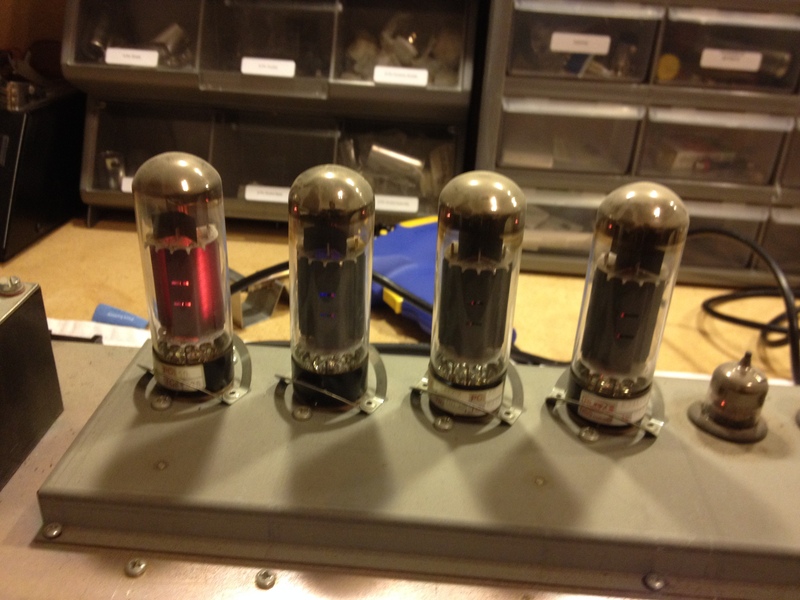 If you have a Pre-2005 JCM2000, you have a couple options to remedy the drift issue. Marshall offers a full card replacement now that is corrected and populated with higher heat resistant components. The other option is to modify the card to perform correctly. This involves removing the card, destructively modifying some of the traces, and then repopulating a large number of components. Both options have proven to give the same successful results. 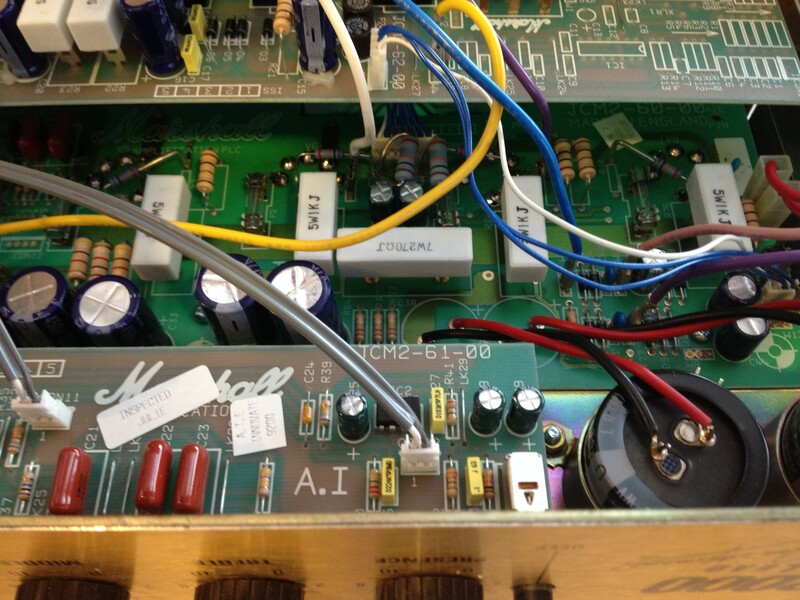 If your JCM2000 is pre-2005 and you are experiencing issues, contact Desert Amplifier Repair for options on getting your amplifier serviced. 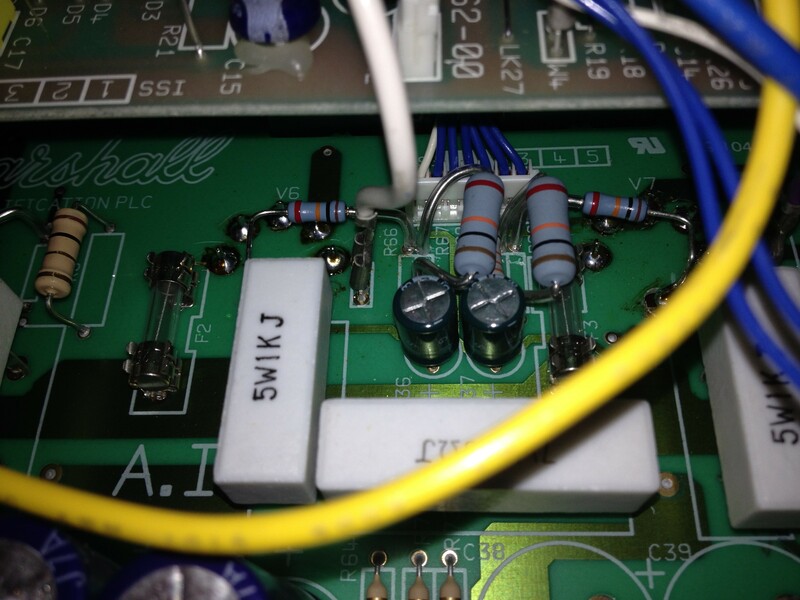 If you are unsure of the production year of your amplifier, it should be part of the serial number which you will find located on the rear of the chassis.